Its been three years since I have posted to this blog. I paused from writing to take care of my family following the devastating loss of my mom, who courageously battled Ovarian Cancer. In thinking about what she wanted for my life, I believe that she would be disappointed to know that I was not fully engaged in life. So I am back, hoping the information that I share will help at least one. The primary focus of this blog will to offer useful information for leaders in business and technology related disciples, career development and all things STEM. 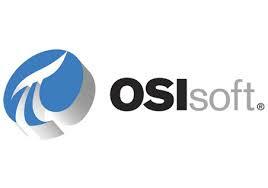 Lastly, will provide information on upcoming technology and business events in the Mid-Atlantic Region. In case you forget who we are (or if we have not had the pleasure to meet) E-Region Enterprises is a boutique strategy company that uses PIE (performance, image and exposure) strategies to design solutions to promote our clients’ brand and increase revenues. We have also partnered with JumpButton Studios to provide mobile applications and animation solutions. Starting in 2018, we will be offering workshops to help side-hustlers, start-ups and small businesses develop the tactical and strategic skills they need to run successful ventures. For complimentary one-hour consulting on small business strategy and/or our animation services, please free to contact our offices. Also, please follow us on twitter: @eileengadsden and @jumpbuttonstudios. 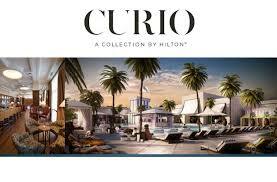 On June 2, 2014, Hilton Worldwide announced its newest brand “Curio” to the Hilton Family of Hotels. This move will increase Hilton Worldwide’s portfolio to eleven world-class brands. The Curio Collection was created for “travelers who seek local discovery and authentic experiences” (see official press release). Each hotel in the “Collection” will be carefully selected four to five-star hotels. The only thing this collection will have in common is how distinctly different each property will be. The goal of the new brand is to provide Hilton a competitive advantage in the hospitality industry (competitors Marriott and Starwood) by offering guests a truly unique experience and allowing hotel owners to leverage Hilton’s scale, scope and expertise while maintaining the character of their property. Guests staying at Curio hotels will be able to earn and redeem points from the Hilton HHonors loyalty program. Letters of intent have been signed by properties by SLS Las Vegas Hotel & Casino; the Sam Houston Hotel in Houston; Hotel Alex Johnson in Rapid City, South Dakota; the Franklin Hotel in Chapel Hill, North Carolina; and an unnamed hotel development in Portland, Oregon.